The most recent issue of Newtype magazine has two new visuals for the Code Geass anime, celebrating the recent announcements of three recap films and a third sequel anime. 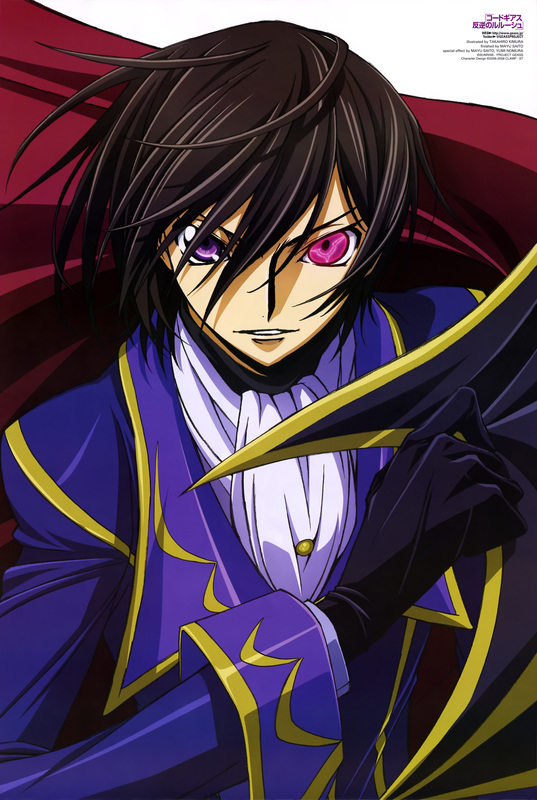 The first visual features Lelouch in his official attire. A new Code Geass anime will be a sequel, set years after Zero Requiem (the final events of the anime’s second season). Gorou Taniguchi, the director of the previous anime, have also confirmed that Code Geass: Lelouch of the Resurrection will be a sequel. Details about the format of the new anime have yet to be revealed. In addition, there will also be 3 compilation films of previous Code Geass anime. The films are set to release in January 2017 and will contain new audio. 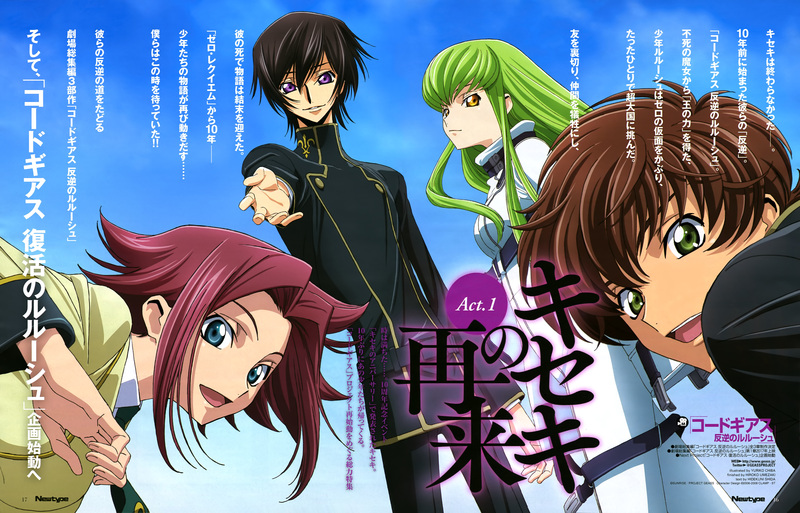 A brand new Code Geass anime is in production under Lelouch of the Resurrection. A 3 part compilation film of the anime will be releasing in Japan in January 2017. Further details about the new anime will be revealed soon.